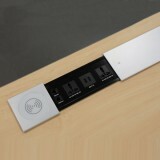 Compact and slim design electric box with sliding lid that hides sockets when not in use. The unit includes Wireless Charger, 2 Universal Power Sockets, 2 USB Charger Sockets, 1 Telephone and 1 Network Socket. 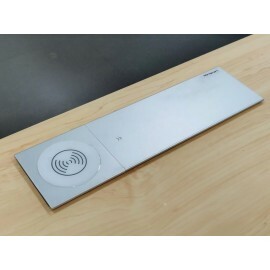 In-built wireless charger for high end smart phones. 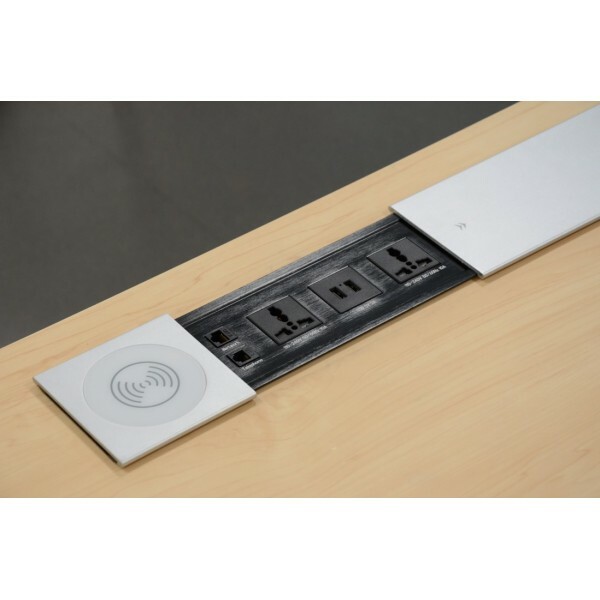 This concealed electric box is ideal for any conference table, work desk or counter tops. To check if your mobile is compatible with this wireless charger, please refer to the below Specifications tab.